I always look forward to the summer hiking season with interest, eager to discover new places and enjoy some favored old ones. Here are five favorite destinations for outdoor enthusiasts. This is my favorite hike in the Sierra. 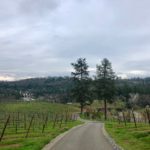 Starting at Woods Lake off Highway 88 and traveling in a counter clockwise direction, you’ll climb along streams and alpine meadows to beautiful Round Top Lake. 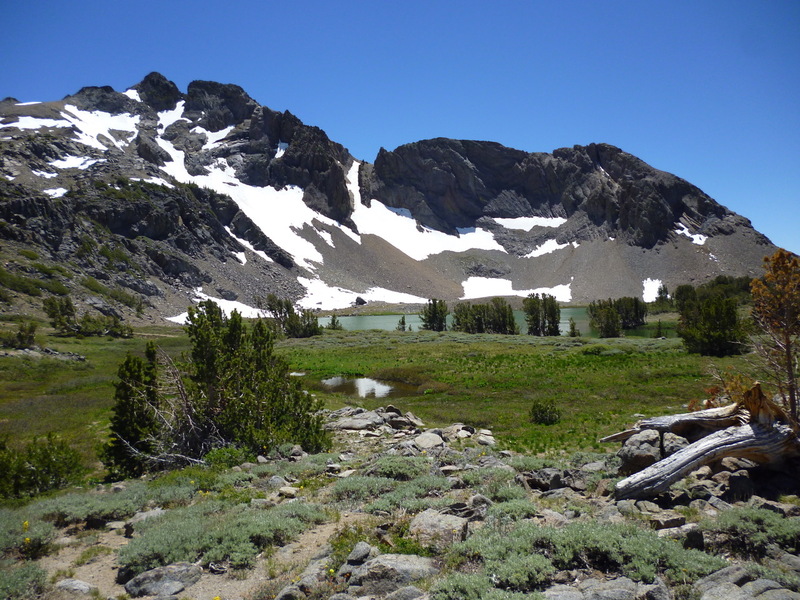 Turning east, the trail goes down past Winnemucca Lake and back to Woods Lake. In mid to late July, the wildflowers are spectacular. Total distance: 5.1 miles. Elevation gain: 1,345 ft. The trail can have areas of snow late into the summer, and you will be hiking at an elevation above 8,000 feet, but the rewards are excellent. You can find additional information here. For an easier version of the hike above, start at the Carson Pass Information Station at the summit on Highway 88. 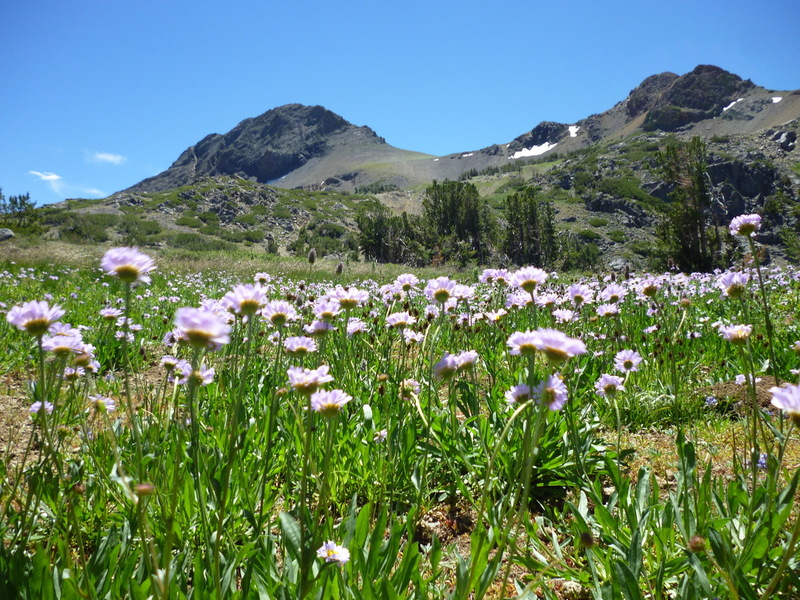 You will pass Frog Lake on the way to Winnemucca and enjoy fantastic views and wonderful wildflowers in late summer. Round trip distance: 5 miles. Elevation gain: 700 ft. Find more information here. This is a short hike located off Highway 50 that is good for all skill levels. Park at the trailhead that is reached by taking the entrance to Camp Sacramento. 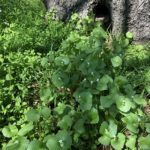 Walk through the camp to the west, and then head out on the easy-to-follow trail through wildflowers. Be sure to check out the view of Horsetail Falls across the canyon. You will cross the historic Pony Express Trail, marked with XP, on your way. Round trip distance: around 4 miles. Elevation gain: about 600 ft. Caution: don’t get too close to the edge. Look here for more information. Another hike off Highway 50 begins at the trailhead at Wrights Lake. 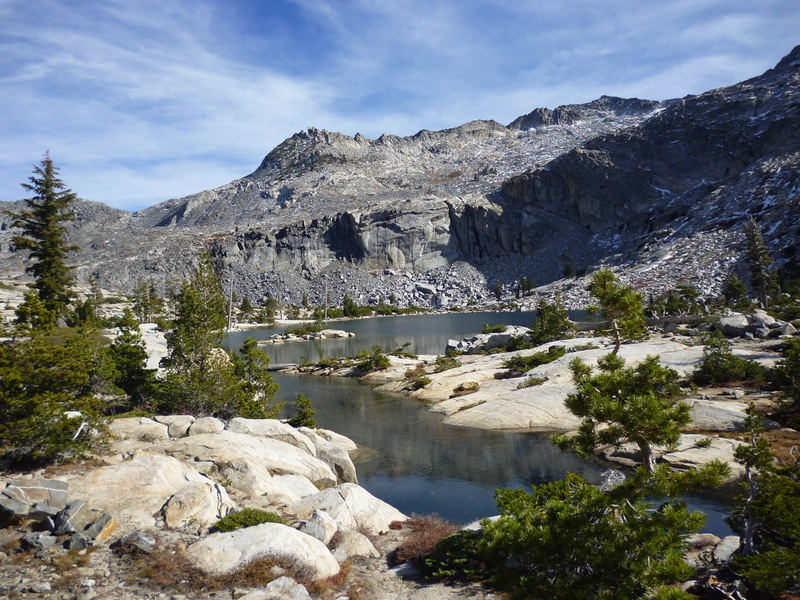 This is a beautiful Alpine hike into Desolation Wilderness with spectacular views. The trail can be a bit hard to follow at times as it moves over large granite slabs. 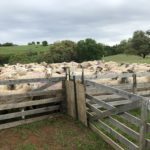 You will have to watch for cairns and it would help to look at a map beforehand. Round trip distance: about 6 miles. Add a mile and a half if you go on to Island Lake. Elevation gain: about 1500 ft. You’ll find more information here. 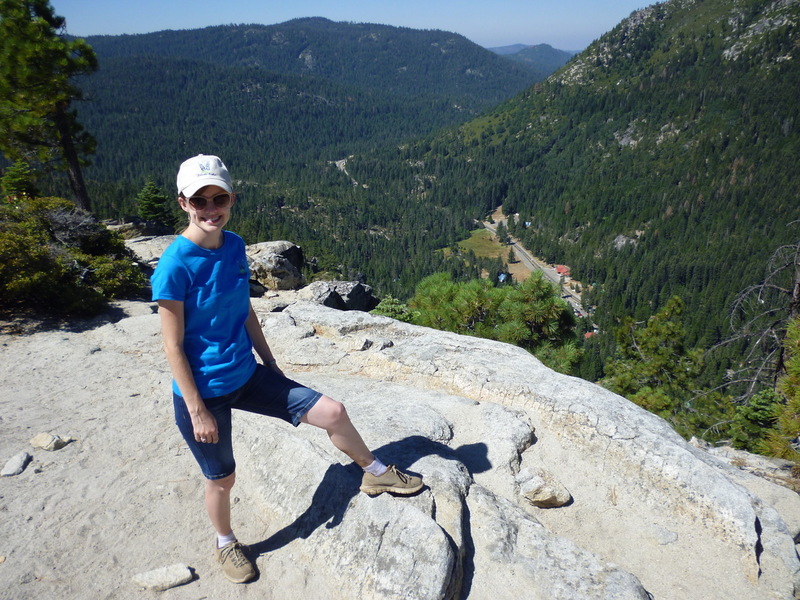 A short, easy hike for all ages, the trailhead is found by turning into the road to Kit Carson Lodge off Highway 88. Drive all the way to the end of the road, where you’ll find the trailhead. 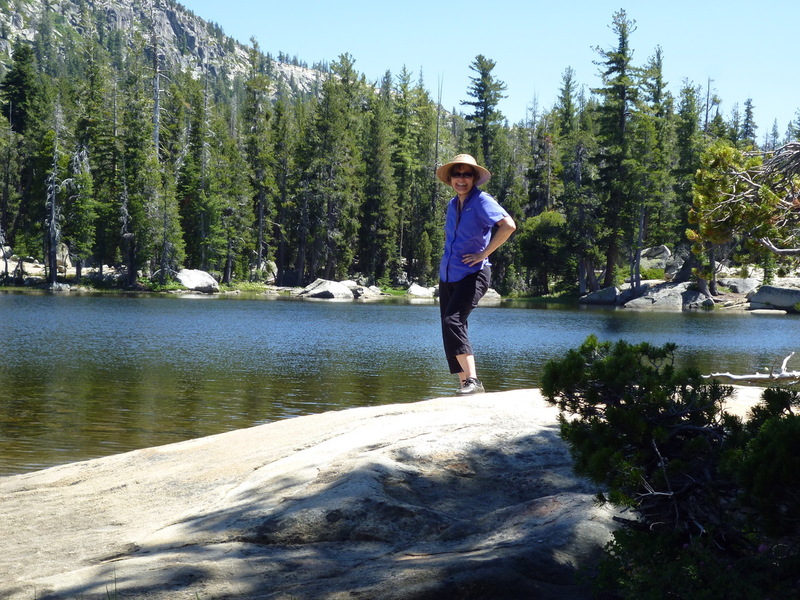 As you hike in, you will come to a lake, but continue about half a mile farther to Granite Lake, a beautiful little lake nestled in a granitic basin. Round trip: about 2.5 miles. Elevation gain: about 300 ft.